We are the Taihuttu family traveling around the world and enjoying life. First of all, we need to warn you that we are Dutch. English isn’t our native language, so upfront sorry for the incorrect grammar etc. We both grew up in the same town Venlo and met in a cafe called de paternoster during Carnaval. After finishing school we started working and buying a house and after a lot of practice, we decided to do it with a reason mow and have some kids. Didi realized after a month that working for a boss wasn’t really his thing so he started his own it company which grew to a nice and healthy company in 15 year time. So we had everything we wanted but there was always the dream of exploring the world. We backpacked a few times when we were young but not with kids. We took the kids to a lot off countries but mostly for max a month. So again we had a very nice life but there always was an unsatisfied feeling that we had to explore the world for some long time and now and not postpone it till we were old. Then suddenly everything changes! We were 64 and growing old hahaha. No just a joke Before the sad part. After didi’s mother died at 48 years old in 2002 his father was diagnosed with cancer in January 2015. After spending a lot of time together he died just a year later in 2016 at 61 years old. That was the moment we really woke up and realized you only live once (in this life that is ). We had to start really living life. What happened to his father can happen to everybody every day. To postpone our dreams was not the smartest thing to do. So, we were both 38 years old, our kids were 11, 9 and 6 and we had a company in which we worked many hours a week. We felt like continuous running in a circle and used short holidays to get some rest. Traveling has been a passion for many years and we often questioned ourselves how it would be if we just traveled, but there were always excuses because we had a company, our kids had to go to school, our family needs us, what will it cost etc. But because of everything that had happened this time it was different. We sat at the table and we looked at each other. We were thinking the same and there was no way we could continue the life we were living. Didi was on the border of a burnout and as a family, we needed a break so we sold everything. We started with selling our company and after that all our personal belongings and our house. Many of them are still for sale But because it took too long so we just booked tickets to Bangkok and two months later we arrived in Bangkok and our journey started. At the moment we are traveling for 7 months now and we visited Thailand, Cambodia, Vietnam, Philippines, Indonesia Moluccan islands, Nusa Lembongan, Australia, and Bali. We can honestly say that we have never been this happy and by starting this website we just want to help other families realize that there is more in life than running the hamster wheel and that everything is possible. And yes there will be ups and downs but in the end, there is nothing more beautiful than spending quality time with your family and teaching your kids how to enjoy life. 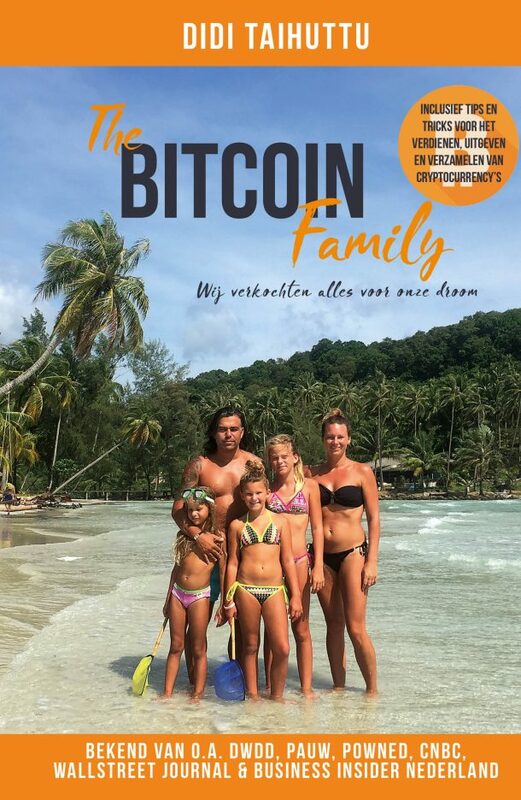 The next step we took is that we sold all our belongings and traded everything to bitcoin. 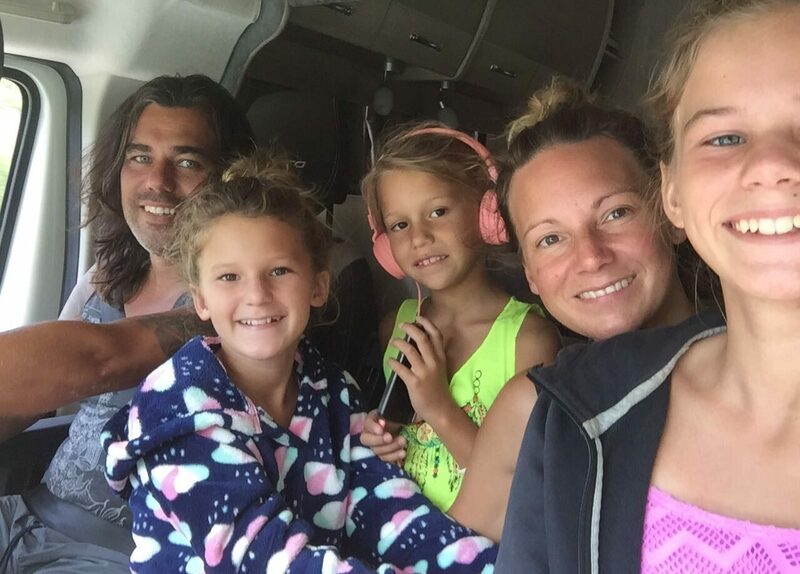 We gave up all luxury and are living on a campsite waiting for the cryptoboom, which hopefully gives us the luxury of traveling more and spending quality time together withe kids. – and many other excuses you have to not travel. We are the Taihuttu family traveling around the world and enjoying life. First of all we need to warn you that we are Dutch. English isn’t our native language, so upfront sorry for the incorrect grammar etc. We both grew up in the same town Venlo and met in a cafe calle de paternoster during carnaval. After finisching school we started working and buying a house and after a lot of practise we decided to do it with a reason mow and have some kids. Didi realized after a month that working for a boss wasn’t really his thing so he started his own it company which grew to a nice and healthy company in 15 year time. So we had everything we wanted but ther was always the dream of exploring the world. We backpacked a few times when we were young but not with kids. We took the kids to a lot off countries but mostly for max a month. So again we had a very nice life but there alwas was a unsatisfied feeling that we had to explore the world for some longer time and now and not postpone it till we were old. Then suddenly everything change! So, we were both 38 years old, our kids were 11, 9 and 6 and and we had a company in which we worked many hours a week. We felt like continious running in a circle and used short hollidays to get some rest. Traveling has been a passion for many years and we often questioned ourselfs how it would be if we just traveled, but there were always excuses because we had a company, our kids had to go to school, our family needs us, what will it cost etc. But because of everything that had happened this time it was different. We sat at the table and we looked at eachother. We were thinking the same and there was no way we could continue the life we were living. Didi was on the border of a burnout and as a family we needed a break so we sold everything. We started with selling our company and after that all our personal belongings and our house. Many of them are still for sale But because it took too long so we just booked tickets to Bangkok and two months later we arrived in Bangkok and our journey started. At the moment we are traveling for 7 months now amd we visited Thailand, Cambodia, Vietnam, Philipenes, Indonesia Moluccan islands, nusa lembongan, Australia and Bali. We can honestly say that we have never been this happy and by starting this website we just want to help other families realize that there is more in life then running the hamsterwheel and that everything is possible. And yes there will be ups and downs but in the end there is nothing more beautifull then spending quality time as a family and teaching your kids how to enjoy life.